União da Mocidade (Union of the Youth) is a Brazilian music and dance project for 12-19 year olds, which brings together students from all over London to rehearse and perform. Our focus is on Samba, the traditional carnival music and dance of Rio de Janeiro. União da Mocidade delivers monthly workshops free of charge to students who attend the ongoing weekly percussion classes delivered in their schools. We are currently active in the London Boroughs of Westminster, Harrow and Hackney. 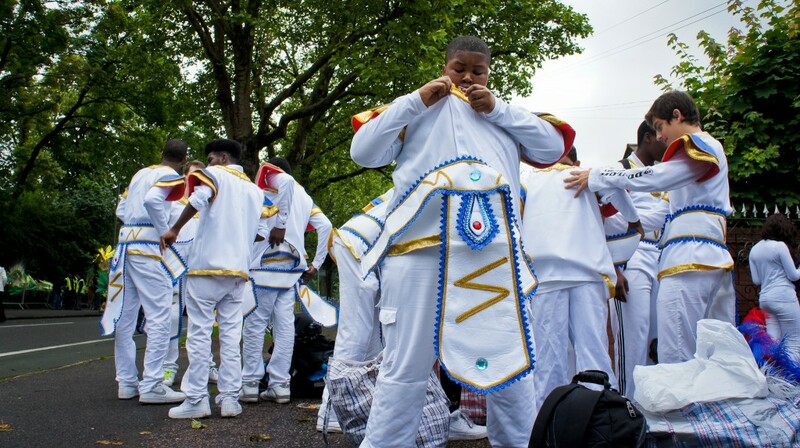 Our dedicated performing group has taken part in carnivals and festivals both inside and outside London. Now in our thirteenth year, performance credits include the Mayor of London’s RESPECT Festival, Thames Festival, Fruitstock, Rhythmsticks Festival and Ealing Jazz Festival as well as carnivals in Bedford, Brighton and Luton. In 2007 the group was also chosen to perform in the School Proms at the Royal Albert Hall.